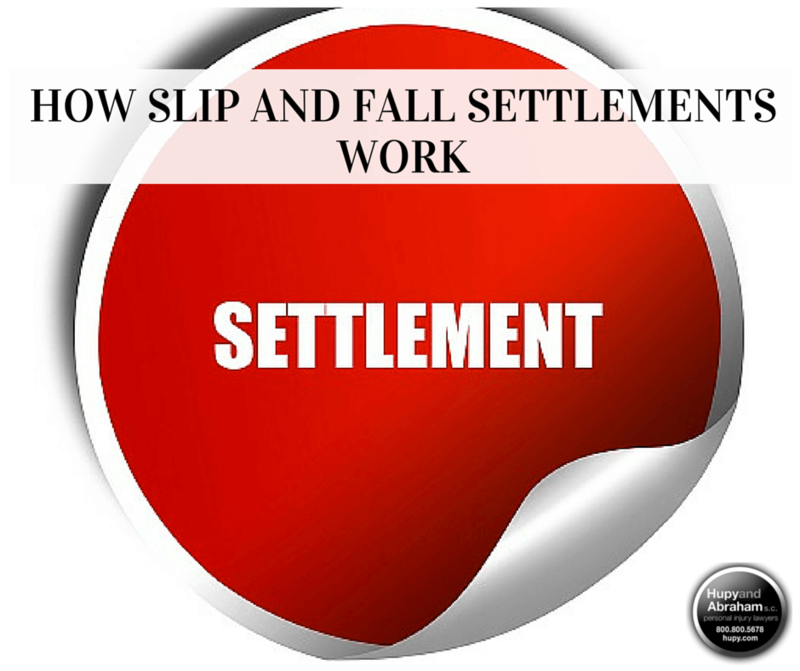 Settle Your Slip and Fall Accident Case | Hupy and Abraham, S.C.
You’ve been injured in a slip and fall accident and you want to make a fair recovery as soon as possible. However, your settlement with the insurance company will not be automatic. Instead, it must be negotiated. Negotiations formally start when you send a demand letter to the insurance company and end when you sign a settlement agreement. When you and your attorney send a settlement demand letter. This formally begins settlement negotiations. How cooperative each side is in during the discovery phase of litigation. How much dispute there is over who caused your slip and fall, or whether there is a valid legal cause of action for your fall injury. How seriously you were injured, and whether the full extent of your injury and reasonably anticipated future medical needs are known. You can speed up the settlement process by readily sharing everything you know about your fall with your lawyer, by getting medical care and following your medical treatment plan, and by having a skilled negotiator work on getting you a fair recovery from the insurance company. Insurance adjusters understand that many injury victims are in need of money due to the expense of a sudden injury, which is why they often make a quick settlement offer. Once you accept a settlement, however, you are forfeiting your right to future damages. Thus, before you accept the settlement it is important to make sure that you recovery includes fair compensation for past, current, and future medical expenses, lost income, out-of-pocket costs, and pain and suffering. The insurance adjuster, no matter how friendly, is not looking out for you. It is the insurance adjuster’s job to represent his or her employer’s best interest. Thus, the adjuster is representing the insurance company that wants to pay you as little as possible so that the company can maximize its profits. Once you settle you may not be able to recover any additional damages in the future. Your settlement will likely include a clause that prevents you from recovering additional damages for your accident, even if you are out of work or more seriously injured then you think you might be right now. You have nothing to lose. You do not risk anything by talking to an experienced Milwaukee slip and fall attorney, but you will gain the security of knowing your legal rights. Before you settle your case it is important for you to see a doctor and have an accurate prognosis about your medical condition and for you to know what your slip and fall case is worth. If you can’t reach a fair settlement, then you may be able to recover fair damages in court. Talk to an experienced slip and fall lawyer today about your legal options. Simply call 1-800-800-5678 for a free, no-obligation consultation or start a live chat with us via this website.